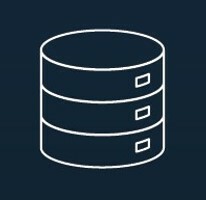 Feed: SAS BlogsRSS – SAS Blogs. SAS Mini MOOC!!! What is MOOC? Yes, this was the big question from attendees who visited our Data Science Skills pod at SAS Forum UK 2016 – If you missed the forum, here are the resources. I also thought: why don’t write about it? MOOC stands for Massive Open Online Course – free online learning, open for everyone, which you can use as part of a university course to improve your skills. Apparently, the term was created by Dave Cormier (the Project Lead for Student Relations Management at the University of Prince Edward Island, Canada) in 2008 as a response to a course called Connectivism and Connective Knowledge (also known as CCK08), run by George Siemens of Athabasca University and Stephen Downes of the National Research Council. 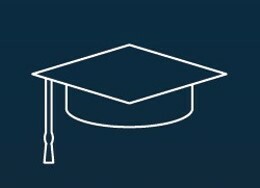 Then 2012 became “the year of the MOOC”, when top universities started to implement the model. More about its history can be found in Wikipedia. Orient: Materials, links and time. Declare: Have a place for your thoughts, maybe a blog. Network: Follow other people and make some connections. Cluster: Find yourself a cluster of people to connect with, a community for sharing. Focus: in what you want to achieve at the end of the course. Now, we know what MOOC is, let me tell you about SAS’ Mini-MOOC. 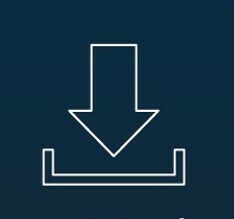 To make your journey with SAS simpler, we condensed all the SAS free resources and materials into six simple steps; the perfect route to get started with SAS and learn in your own time. Yes, hit the button: Get free software, and start using world-class analytics software used by more than 80,000 business, government and university sites around the world. That means you’ll be using the latest statistical and quantitative methods available, which allow you to build your analytical skills and prepare for gratifying careers across all industries. 1. Learn to use SAS for analytics: The free SAS statistics training is designed for SAS users who perform statistical analyses using SAS/STAT software. The focus is on t-tests, ANOVA, linear regression and logistic regression. 2. Learn to programme in SAS : The free SAS programming training is designed for SAS users who want to learn how to write SAS programs. It is the entry point to learning SAS programming and is a prerequisite to many other SAS courses. 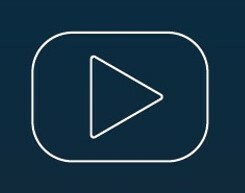 Nearly 200 free SAS “how to” videos, tutorials and demos are available to help you learn tips and tricks for working with SAS software. Topics cover whether you are new to SAS, analytics, visual analytics, foundation tools, data management, business intelligence, administration and solutions. Some videos are recorded using different SAS interfaces, but most content is applicable in all interfaces. Now it’s time to practice what you have learnt. Explore the different online free data sources, which include UK Data Sources, SAS Sample Data, Subject-Specific Data and Multi Subject Data Sources. Select the most suitable for you and start making your own projects. SAS Certification credentials are globally recognised as the premier means to validate SAS knowledge. With SAS Certification you will set yourself apart from others – it is a passport to the next stage of your career. The world is your oyster! 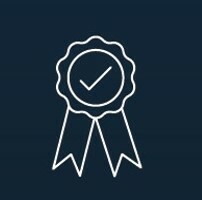 In addition, once you have your SAS credential, you automatically earn a digital badge. 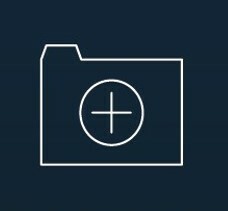 SAS Digital Badging makes it even easier to share your SAS skills with colleagues and potential employers. Digital badges can be used in email signatures or digital resumes, and on social media sites such as LinkedIn, Facebook and Twitter. And don’t forget: Networking is important! The SAS Analytics U community is an online group for linking, collaborating and sharing. You can interact with other SAS users, share ideas and best practices, put hands on projects and get peer support. Social media channels also are another great way to stay connected and in-the-know. 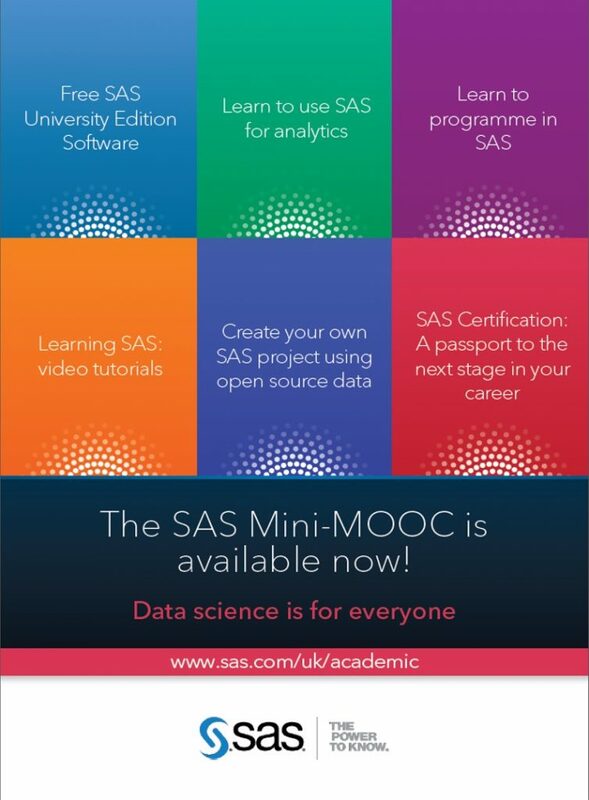 Finally, I would like to share a colourful picture of our SAS Mini-MOOC flyer.